BOTH REBATES HAVE BEEN CANCELED !!!! If you bought or considered buying an electric vehicle (EV) in the past you no doubt encountered what industry insiders refer to as “range anxiety”. Range anxiety is a phenomenon would-be EV owners commonly experienced when they would ask the EV salesperson “So, where do I charge something like this?” A few years ago the answer would have sparked concern as there were only a handful of publicly available charging stations in the province and most of them were clustered around Toronto. 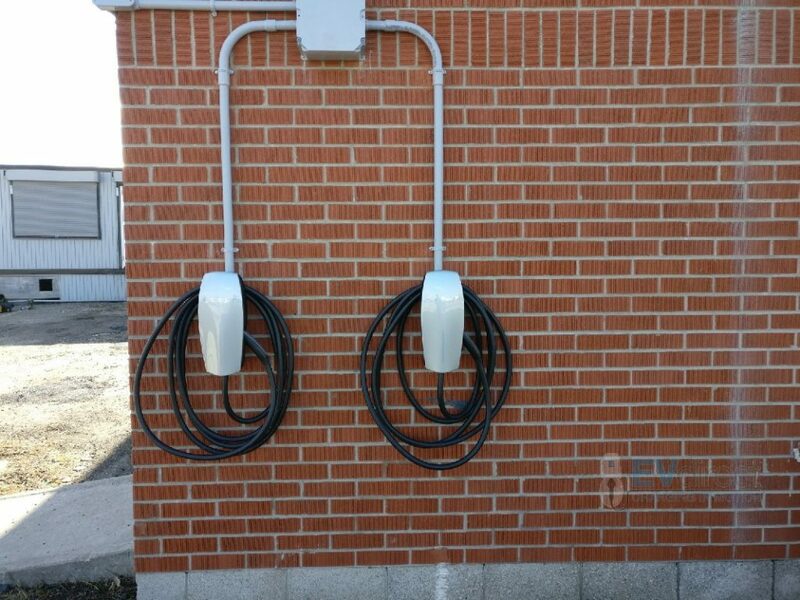 Today however, there are hundreds of publicly accessible EV charging stations sprinkled about the province and more on the way as a result of new government incentive programs. While electric vehicle charger installation in Ontario continues apace throughout the province the government is determined to do still more to promote the use of environmentally friendly EVs. To that end they are now offering up to $1,000 in rebate incentives for homeowners who install an eligible charging station in their home. Does Everyone Receive the Same Amount? In some cases those costs will result in the homeowner receiving the maximum rebate amount while in other cases the rebate may be less. Even if you have purchased an EV for which you received the EVIP you will still need to be sure that the charging station you plan to install in your home is ordered and purchased from a Canadian source. If the charging station you plan to install was imported into Canada it will not be eligible for the $1,000 in-home installation rebate. Above we mentioned the EVIP. It is necessary that your EV – whether purchased outright or leased – qualify for this program and that you receive an incentive for your vehicle through this program in order for you to be eligible for the in-home charging station installation rebate. But what is the Electric Vehicle Incentive Program? Below we’ll take a look. The EVIP is an integral component of the push toward a carbon-neutral transport sector. It is responsible for the installation of some 2,600 charging stations costing more than $2.2 million dollars since its inception. Keep the vehicle that receives the incentive for at least 12 months if it was purchased, or for a lease term of at least 36 months. Make sure the vehicle remains registered and plated in the name of the person who received the incentive for the entire 12 or 36 months. Also ensure the vehicle remains roadworthy and fully insured throughout that time. Be sure the vehicle is based in Ontario at the address of the applicant the entire time. If the recipient of the EVIP fails to meet any of these requirements any incentives they received must be repaid in full. 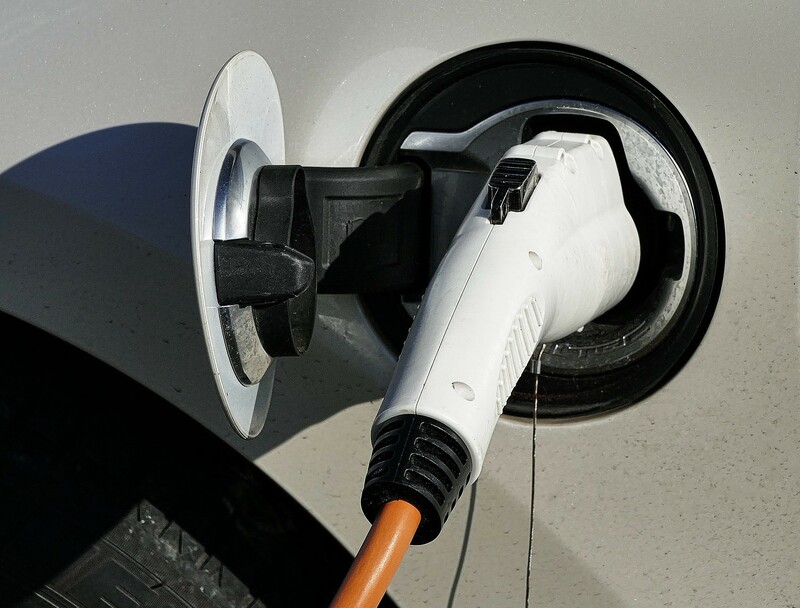 If you have received the EVIP incentive for your electric vehicle you are eligible for a rebate of up to $1,000 on the installation of a Level 2 charging station. The 240 volt charger uses the same voltage your electric stove or clothes dryer uses, so in most cases you won’t have to upgrade the wiring in your home to install one of these chargers. As stated above the rebate covers up to 50% of the purchase price (up to $500) plus up to 50% of the installation costs (up to $500) for a maximum allowable rebate of $1,000. Be a Level 2 charger with a nominal voltage of between 208-240 volts. Be for a vehicle which is used for private or business purposes (not for customer use, i.e. no rental cars). Charge a single car at a time. Charging stations with more than one charging port are not eligible. Be on the provincial government’s approved list of eligible charging stations. Be purchased from a Canadian supplier and purchased in Canada. No rebate will be issued without an official certificate of inspection from the ESA. Such a certificate can be obtained from the licensed electrical contractor who handled the electric vehicle charger installation in Ontario. The EV Charging Incentive Program application form. Completed and signed by the relevant homeowner. A copy of the receipt for your charging station. A copy of the receipt from the licensed electrical contractor who installed the charging station. A copy of the official ESA inspection certificate. All items must be mailed to the address on the application form. The provincial effort to promote the use of EVs is not limited to encouraging homeowners to buy them and install charging stations. The province will also cover up to 80% of the cost when businesses or commercial building owners perform an electric vehicle charger installation in Ontario through what is being called the Workplace Electric Vehicle Charging Incentive Program. 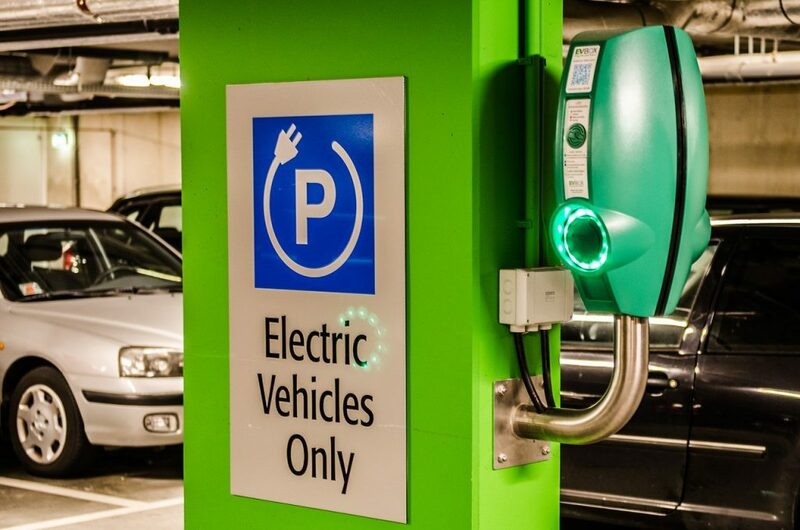 This program covers most of the cost associated with the installation of Level 2 charging stations with each employer or building owner potentially receiving up to $7,500 for every parking space that has a charging station installed. The program received initial funding from the provincial government of $5 million sourced from the proceeds of the provincial cap-and-trade auctions. According to the most recent statistics as of this writing there are some 1,300 public charging stations currently up and running in the province including nearly 400 installed as a result of the $20 million Electric Vehicle Chargers Ontario program. The Workplace Electric Vehicle Charging Incentive Program seeks to add significantly to that total and make the province a world leader in EV infrastructure. Note: The provincial government has just announced it will have to close the Workplace Electric Vehicle Charging Incentive Program to further applicants for the time being. In essence the program is a victim of its own success as its original $5 million in funding has been exhausted. Most in government and the private sector who deal with such issues believe additional funding will be forthcoming shortly. And as soon as that occurs the program will resume accepting applications. In addition to the incentive programs detailed above the province is working hard to build public/private partnerships that will help ensure Ontario retains a leadership role in the adoption of reduced carbon vehicles. One of the most important programs adopted by the province is the Electric Vehicle Chargers Ontario program or EVCO for short. This program aims to bring together business and civic leaders to create a vast network of EV charging stations along all primary and many secondary transportation arteries reaching into all corners of the province. 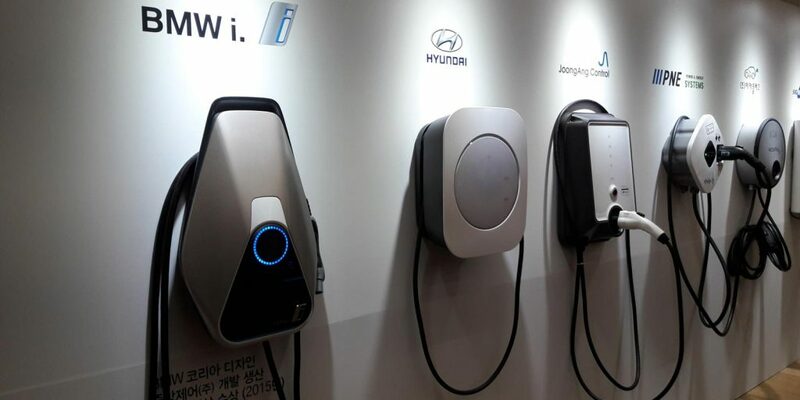 The program has as its main goal an unprecedented level of expansion of EV charging stations that more closely resembles the widespread and effective gasoline distribution system then the widely disbursed and often inadequate EV charging network currently in place. More than 250 locations province-wide are being targeted for the installation of charging stations with more than 200 being Level 3 DC fast charger stations. On top of that Tesla has announced it plans to install a slew of new supercharger stations (ostensibly Level 4 stations) at a number of locations throughout the province. More on that below. The EVCO program is an application driven program that was introduced toward the end of 2015. The application window ended a scant 2 months later but in that time the number of applicants far exceeded expectations. Applicants identified what they believed to be the best locations for future electric vehicle charger installation in Ontario and the applications that were deemed to be the most competitive were accepted. Each application was analyzed for its potential effectiveness at filling the needs of the EV community with an overall focus on ensuring optimal connectivity within the network. The following demonstrate some of the criteria used to determine winning applications. For Level 3 charging stations priority was given to stations generally considered to be the most strategically significant, i.e. near major highways. The idea here was to promote intercity EV travel which is often impractical because of the time it takes to fully charge a vehicle using a Level 2 charger. By installing Level 3 chargers in such locations refuelling times can be reduced from several hours to less than 30 minutes. For Level 2 charging stations program designers gave priority to locations that were in close proximity to major attractions or shopping venues like malls and supermarkets. People who frequent these locations are typically not in any great rush and so the longer Level 2 charging times are not an issue the way they can be on the open road. With vehicle emissions posing one of the greatest threats to air quality building an effective EV charging network is essential if the province is to achieve its GHG emission targets. Besides encouraging businesses and individuals to purchase EVs and providing them incentives to install electric vehicle charging stations the government’s Climate Change Action Plan also includes efforts to engage the auto industry itself in helping to build out Ontario’s EV charging infrastructure. One EV manufacturer that has stepped to the fore and accepted the challenge is Tesla, the brainchild of SpaceX visionary Elon Musk. Currently there are 14 Tesla Supercharger locations in Ontario with 6 more under construction. The current locations sport a total of 132 actual chargers for an average of just under 10 chargers per location. The new Tesla Supercharger locations however will be more expansive with an average of more than 16 chargers per location. While in the past Tesla understandably focused its efforts on providing superchargers in areas close to shopping centres and supermarkets, the new charging stations will include more remote locations such as North Bay and Kenora to the far west, as well as Sudbury where a new Tesla supercharger station has recently come online. With forward looking companies like Tesla pitching in to provide much needed infrastructure upgrades the future for EVs in Ontario has never been brighter. The result is that owners of electric vehicles can leave their range anxiety at home when they venture out in their personal or business EVs and go back to enjoying the simple pleasures of driving. With electric vehicle charger installation in Ontario advancing in lockstep with increased EV sales the way toward a healthier, more sustainable future is clear. While some of the government’s more optimistic sales predictions for EVs may or may not pan out the fact is even if they miss by a full percentage point it still means many thousands of new electric vehicles on the roads of the province in the near future and ever increasing numbers beyond that. From the Nissan Leaf to the Chevy Bolt to the Volkswagen e-Golf and, of course, the full line of Tesla luxury electric vehicles, the road to the future is looking clean and bright. A robust charging infrastructure will eliminate the last remaining cases of range anxiety and provide consumers a level of confidence that has been sorely lacking to this point. Improvements in battery technology will provide even more incentives for car buyers to pass up the gas guzzlers in the showroom and take a chance on EV technology. The invention of the lithium-ion battery back in 1980 set about a revolution in portable energy use and now, nearly 4 decades later the all solid state battery cell promises to be the next great leap in battery technology. When applied to EVs these batteries will last significantly longer than their lithium-ion counterparts and have the advantage of being non-combustible as well. The effective driving range of an electric vehicle is determined in no small part by the density of its battery cells and the battery cells in the all solid state battery provide 3 times the energy density of their lithium-ion counterparts. This advance, along with a greater emphasis on electric vehicle charger installation in Ontario means EV owners can rest assured that even if they miss a particular recharging station they won’t have any problem reaching the next one. Of course the one issue no one championing electric vehicles is eager to talk about is the other environmental issue. That is this: what is the province going to do with all these enormous half-ton lithium-ion car batteries when they’ve reached the end of their usefulness? We don’t believe in dodging the tough questions though so we’ll admit that at the moment there is no comprehensive plan in place for recycling potentially thousands of such batteries each and every year. And it is very definitely an issue that needs to be addressed. Because the number of EVs on the road in Ontario at the moment is still relatively small compared to gas-powered vehicles there are ample recycling options in place to meet the demand. But the current equilibrium cannot be expected to last. Before the number of spent lithium-ion batteries outstrips the ability of the market to absorb them in an environmentally responsible fashion every effort needs to be made to keep the issue in front of policymakers. A comprehensive plan for lithium-ion car battery recycling needs to be adopted within the next few years in order to ensure the progress currently underway is not undermined by political inertia.